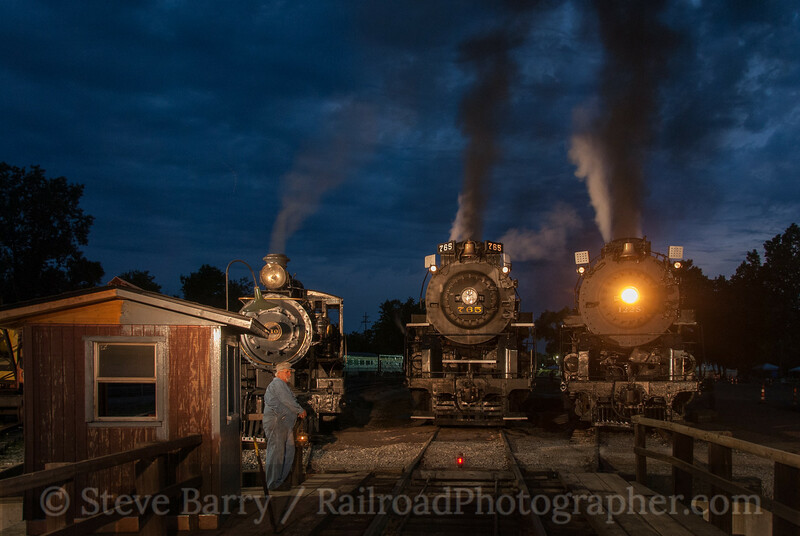 The big steam event of 2014 was Train Expo, sponsored by the Steam Railroading Institute and held in Owosso, Mich., from June 19-22. 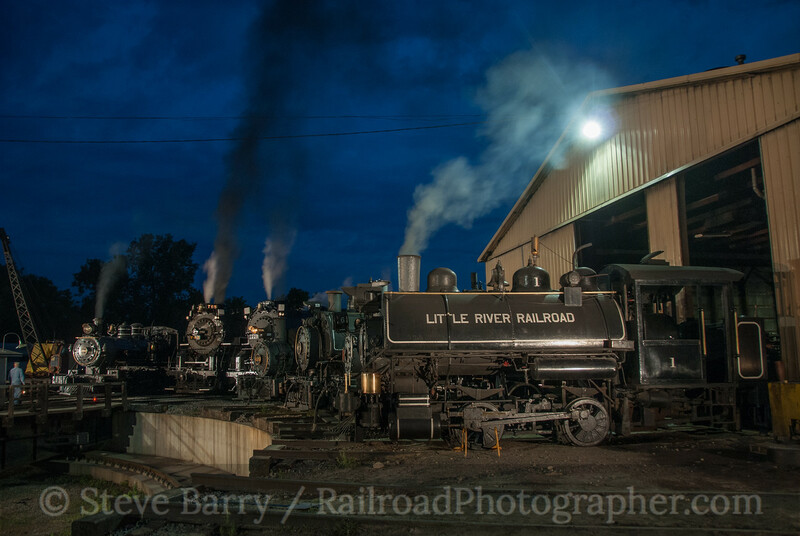 Main line and short trips were run, and a total of eight live steam locomotives were present for the event. The highlight, though, (at least from a photographic standpoint), were the three night photo sessions put on by Lerro Productions and Pete Lerro. 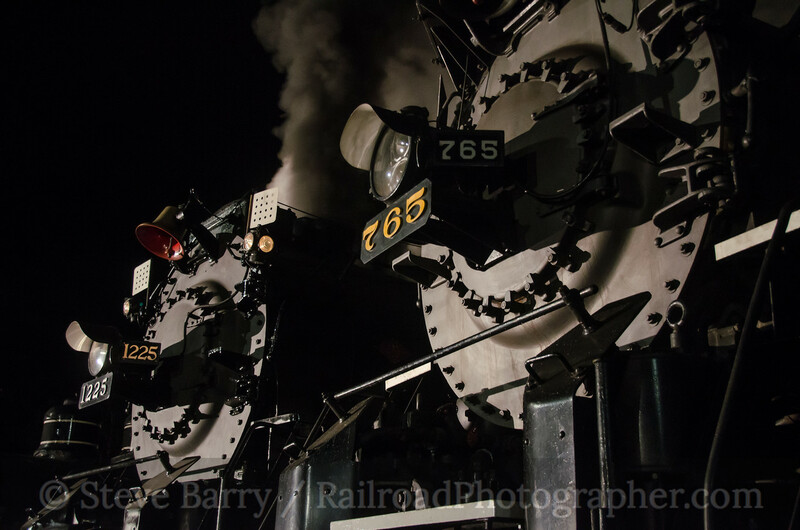 The stars of the show were two Lima-built 2-8-4 Berkshire steam locomotives. Pere Marquette No. 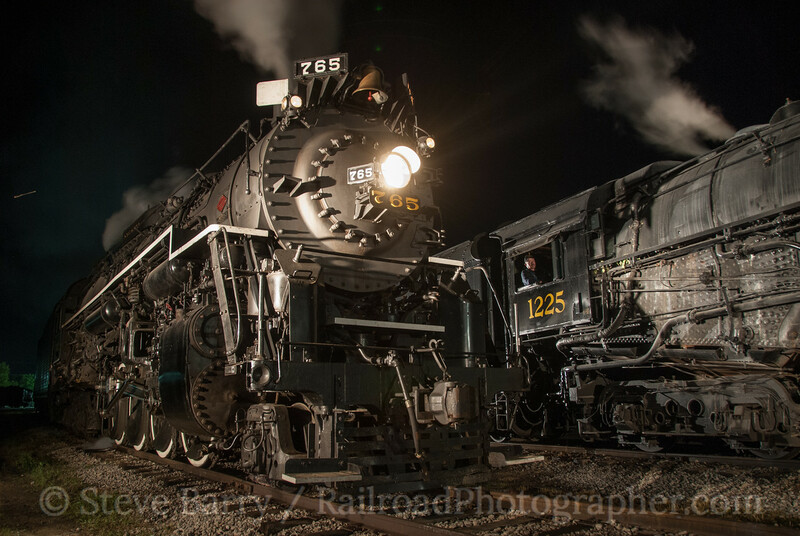 1225 calls Owosso home, and gained fame when it was the locomotive used as a model for the Polar Express. The other big Berk in attendance was Nickel Plate Road No. 765, which is operated by the Fort Wayne Railroad Historical Society in Indiana. Four of the visiting locomotives were small "tank" engines (lacking tenders) and could be seen around the turntable in the photo below. Pete Lerro's father, a noted railroad artist, posed as the turntable operator. The sessions ran from just after sunset (which was nearly 9:00 p.m. that far west in the time zone) until about 1:00 a.m. Just after sunset it was possible to get some "blue hour" light in the sky. The line-up around the Owosso turntable was pretty impressive. 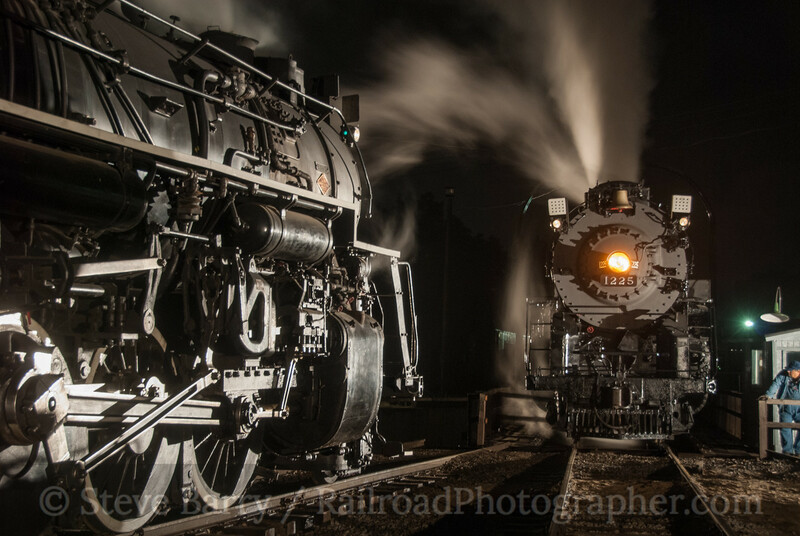 Each of the three sessions started with the "money shot" of the locomotives on the radial tracks. Little River Railroad 0-4-0T No. 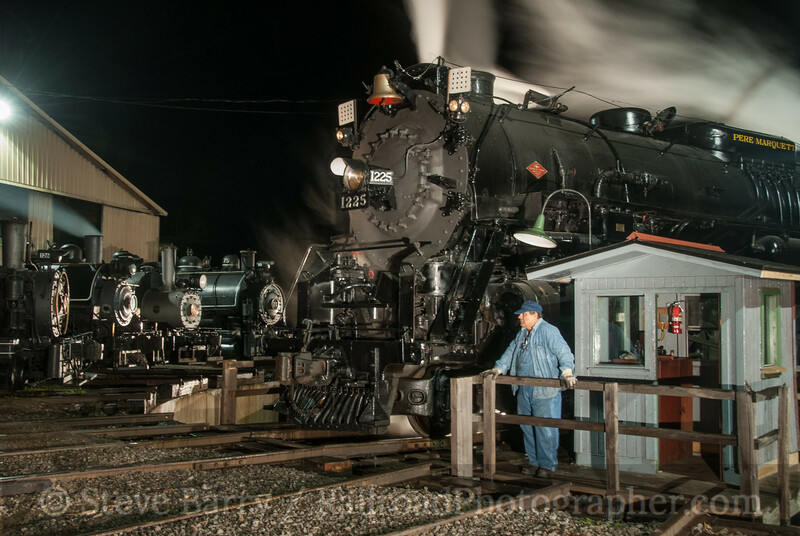 1 usually operates on a tourist railroad nearby in Michigan, and was joined by stablemate Little River 4-6-2 No. 110, the smallest standard-gauge Pacific-type locomotive ever built. After the big turntable shot, smaller scenes were set up. 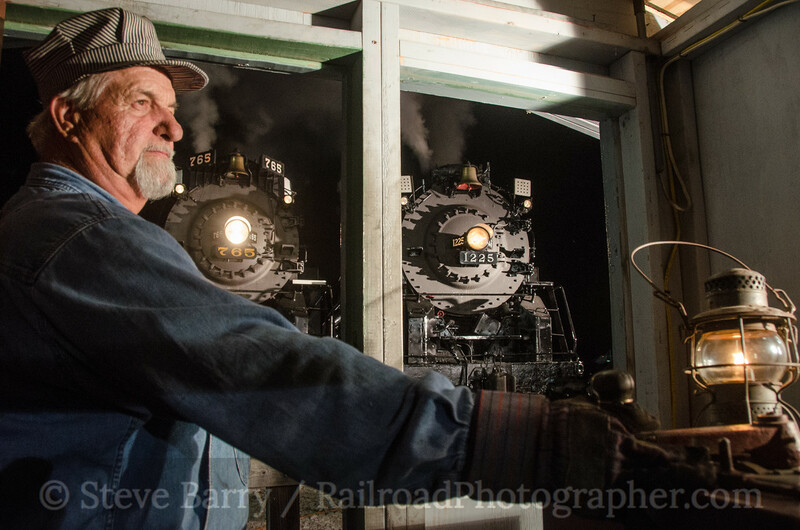 Pete Lerro and his crew worked hard to get the lighting just right for each set-up, and volunteers from both SRI and the FWRHS stayed late to tend to their locomotives. 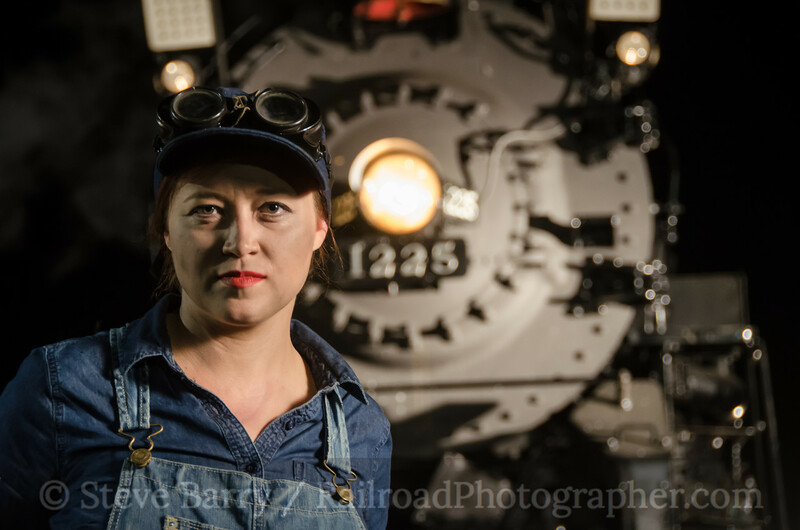 The hallmark of Lerro Production night photo sessions are the "railroaders at work" scenes, many inspired by the Depression-era photography of Jack Delano or the late 1950s work of O. Winston Link. Jeff Mast posed as a railroad worker on the 1225. After 11:00 each night the large crowd of about 50 was broken into a smaller extra-fee group that stayed around for more detailed shots that weren't suitable for a large number of people. One shot was from inside the turntable "house" looking out at the two Berkshires. It was discovered during testing that the glass in the window caused too much glare, so it was carefully removed -- one of the many details that make Lerro Productions night sessions worthwhile. Gary Melford posed as the turntable operator. 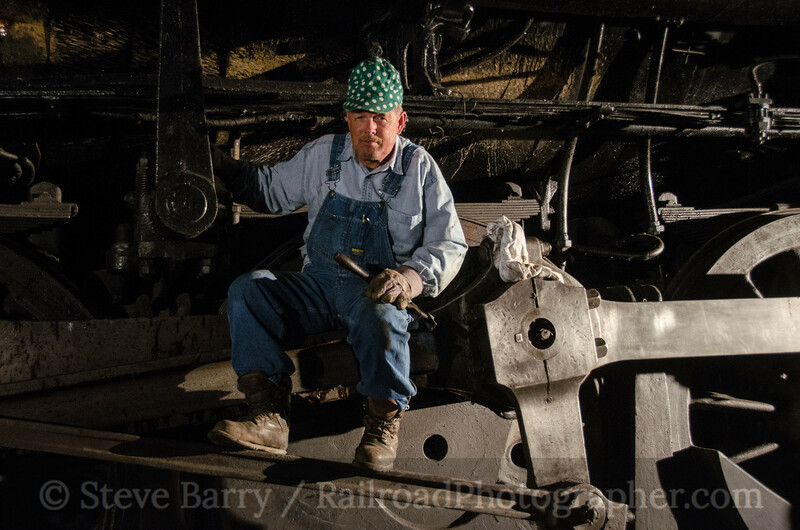 A subset of the "railroaders at work" theme are portraits of railroaders. A World War II-era portrait of "Rosie the Riveter" capped off the final night session of the evening. Alaina Kraus made for a wonderful Rosie. This is the seventh and final (I think) post from a two-week long trip I took in June. To recap the posts, we rode a photo freight on the Arkansas & Missouri, went to the Ozark Mountains to visit three tourist operations, chased the Amtrak Exhibit Train behind Alcos on the A&M, followed a Kansas City Southern freight through parts of three states, looked at Arkansas streetcar operations in Little Rock and Fort Smith, and checked out the railroads in and around Nashville. It was a heck of a two weeks!